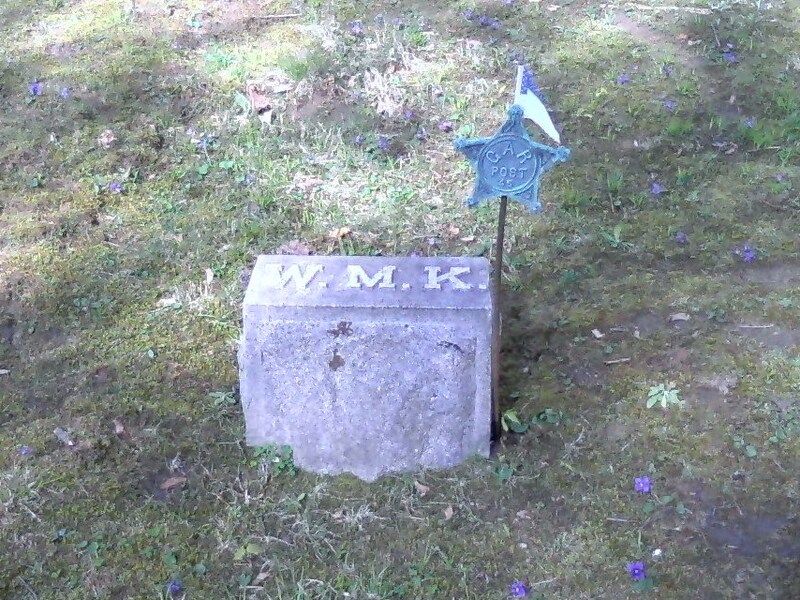 William Kirby was born in Springport, Cayuga County. He moved to Auburn in 1860 and was associated the the Osborne Works and was later engaged in the hardware business. 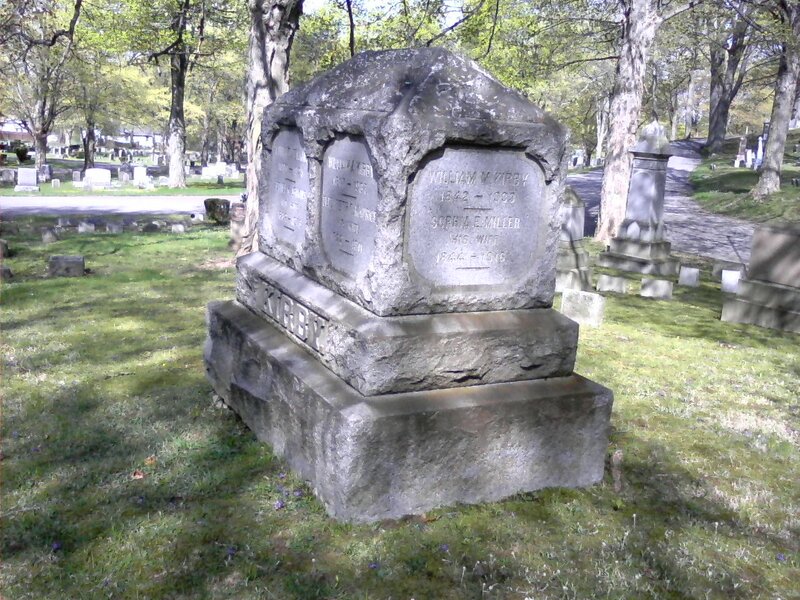 He as commissioned as a Second Lieutenant at the outbreak of the Civil War with the Thrid New York Artillery. During the war he was captured and escaped. He gradually made his way to the Union Lines, and after a short rest in Auburn he returned to the front. After the war he continued his service, becoming the adjutant of the 49th Regiment. In 1881 he took command of the Wheeler Rifles, predecessor of Company I, 108the Infantry NYNG. 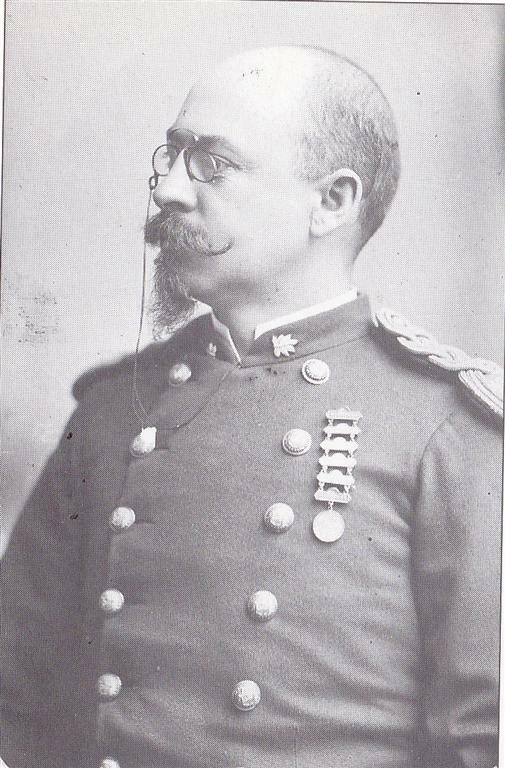 At the outbreak of the Spanish American War in May of 1881, upon the activation of his unit, William received the rank of lieutenant-colonel. 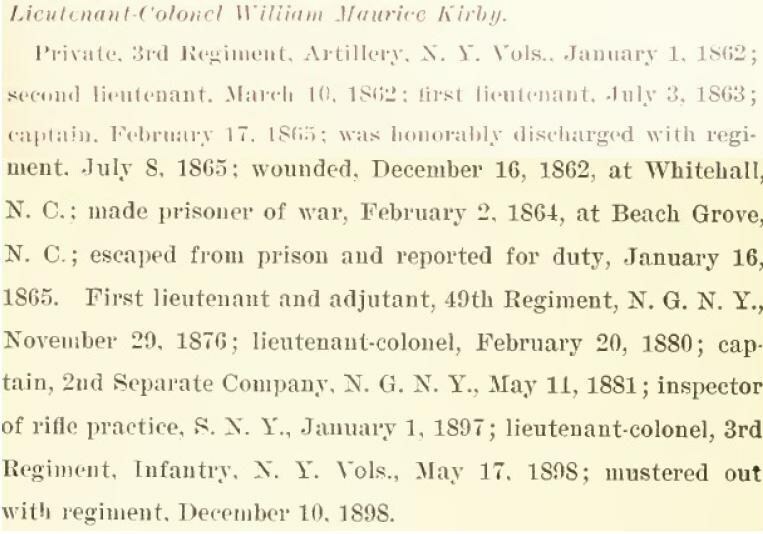 At the end of the war he was mustered out of the regular army along with the rest of the 3rd regiment and continued on with his service in the NYS National Guard. Kirby continued on as the inspecting general of small arns for the guard. In March of 1903 he was promoted to the rank of brevat Major General. After faithfully serving through two wars General Kirby retired from actice NYNG duty in 1913 with about 50 years of service. As a civilian General Kirby took an active role in meetings and support activities during WW I that were carried out at the armory. 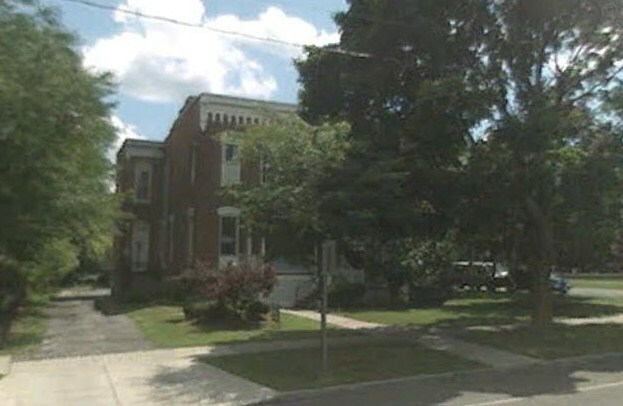 His home at 180 Genesee Street still stands. It's the east, (left) side of the double house on the corner of Fort Street. Here is a note about his service record up to the end of the Spanish American War. 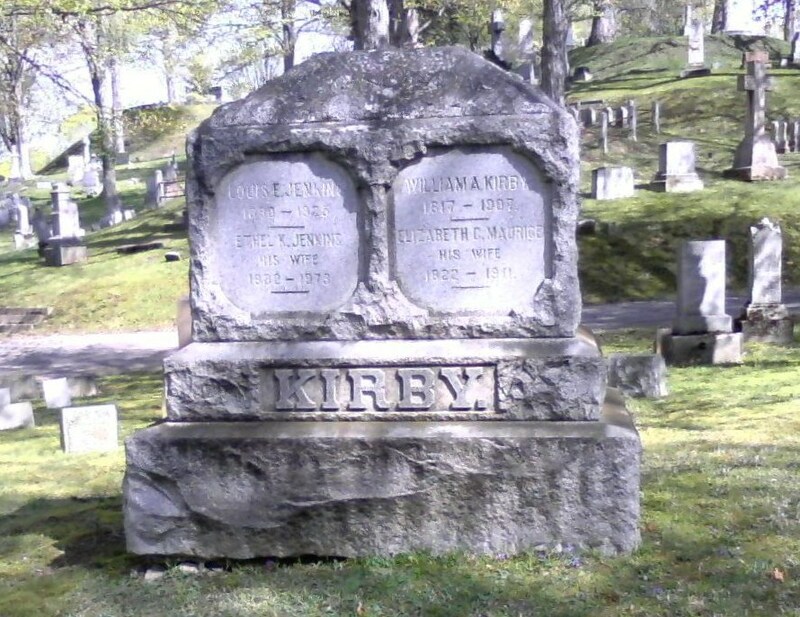 Brigader General William Kirby is buried in the family plot in the Ridgeland Section of Fort Hill.